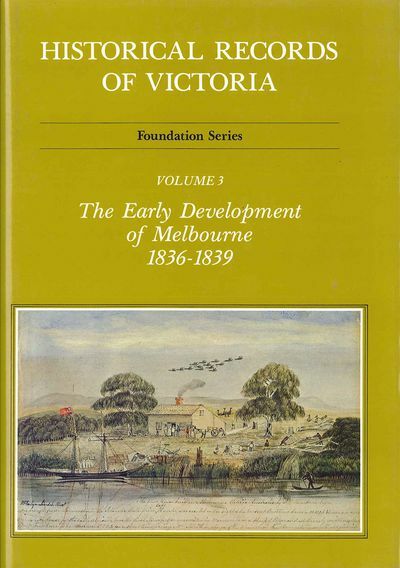 Volume 3 deals with planning and community activity during the founding of Melbourne during the years 1836 to 1839. 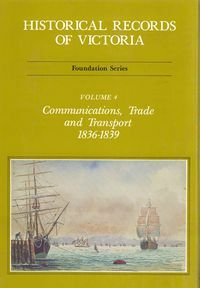 Volume 3 brings together all official documents which could be located on important aspects of the founding of Melbourne during the years 1836 to 1839. New information is here made available on the original planning of Melbourne, control of many community activities, and results of the earliest land sales. 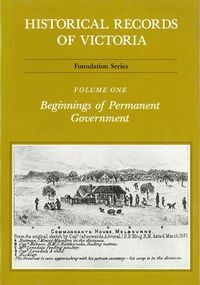 Decisions on Melbourne's first modest public buildings and roads are examined, as well as the part played by soldiers, convicts and government officials in bringing these works to completion. 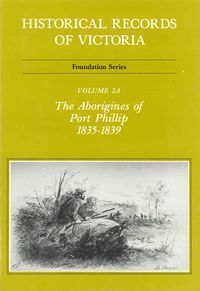 Other sections describe the first counting of population and stock; the primitive public health services which attempted to provide medical assistance for whites and blacks and the beginnings of the main religious denominations, and their attempts to provide church and Sunday school facilities as well as the first elementary education. 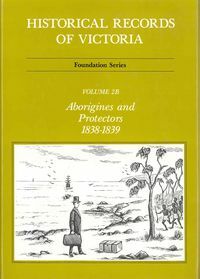 Lists kept by the clergy of marriages, births and deaths are published fully for the first time, giving positive identification of the settlement's true pioneers.